“We welcome this contribution to the debate. “The Scottish Government’s paper accepts a lot of the difficulties that have been flagged up by ourselves and others. It accepts that devolving and cutting Corporation Tax will lead to a drop off in Scottish tax revenue. It also recognises the administrative complexity, extra costs and other problems such as profit shifting that need to be considered very carefully. 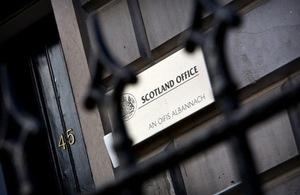 The Institute of Chartered Accountants for Scotland and Price Waterhouse Coopers have highlighted some concerns over the past week and I am pleased that the Scottish Government recognises that problems do exist. “The Treasury recently estimated that cutting Corporation Tax to the same level as Ireland would mean a drop in Scottish tax revenue of up to £2.7bn a year. At the time I said it raised serious questions about how such a cut would be financed and the Scottish Government’s paper puts it rather well when it confirms that ‘decisions regarding budgetary priorities would be needed’. “In looking at what the Scottish Government’s proposals, the UK Government is clear that it will not support anything that would expose the Scottish budget and economy to unreasonable risk. “We should not forget that the UK Government is already in the process of cutting Corporation Tax to the lowest level in the G7, from which businesses across Scotland will benefit. The Scottish Government support this action but seem unduly concerned about who cuts the tax rather than what the tax level is.